Welcome to the third issue of RenoZEB’s newsletter! This edition is the third bi-annual newsletter from the EU funded project RenoZEB. We like to keep you up-to-date on cutting edge research on renovation to nearly Zero Energy Building (nZEB) standards from all around Europe. Currently the project team is working hard on plug and play façades for a fast and undisturbed renovation process. We hope you enjoy the reading. Let’s keep in touch for future news and events! Why do I get this newsletter? You receive this newsletter, because you have subscribed online on our project page or you are a part of the team. The RenoZEB consortium is developing a new systemic approach to retrofitting. This includes innovative components, and processes and decision-making methodologies to guide all value-chain actors in the nZEB building renovation action. RenoZEB provides cost-effective ‘plug and play’ solutions for large-scale deep nZEB rehabilitation schemes, ensuring the integrate-ability of all its components, methodologies, training, guidelines, and demonstration cases. 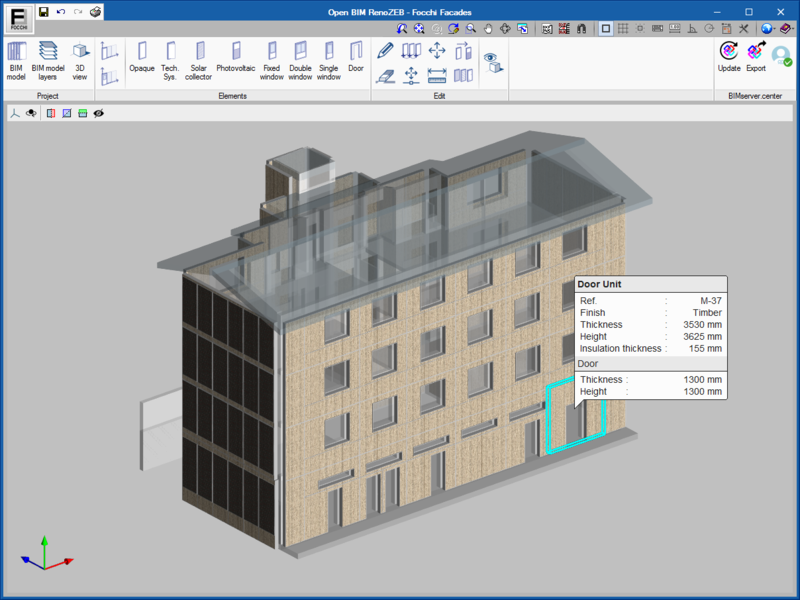 The real (ES, EE) and virtual demonstration cases (IT, EL, BG) will show and ensure the replicability of the schemes to different building types and climates. The technical tools appropriately address the valorisation of the building stock before and after nZEB renovation schemes are applied. The first step in the implementation of the RenoZEB Platform has already been achieved. It allows the collaboration of the project team during all phases of a renovation process, sharing information, setting targets, managing and visualizing renovation scenarios and comparing KPI results. An open web service layer enables the connection of external tools for requesting and uploading data. During the project, knowledge-based tools (by University of Salford) and simulation tools (by CYPE) will be integrated. At this stage the core API (Application Programming Interface) is almost finished, and the initial prototypes have been created: project and user management, KPI management and a product repository. An IFC viewer is also being developed using WebGL technologies (three.js libraries). Next stages will include adding semantic edition capabilities to the viewer and thematic representations (e.g. KPI results). The Smart-IoT (Internet of Things) façade is based on the concept of façade elements with embedded sensors and actuators, converting the building envelope into an intelligent component, interoperable with building management systems and other third-party systems. Comfort and IAQ management: increased knowledge of building conditions by indoor/outdoor interface data for improved usage of outdoor air, light and solar conditions. Building operation and energy management: optimized HVAC and lighting operation routines by improved availability of data and capability of actuate façade elements. Maintenance: enlarged database on outdoor conditions and comparison with reference conditions on in/out building exchanges. With RenoZEB, the façade becomes a building element capable of communicating with the other building components (e.g. controllers, BMS etc. ), providing measured data from the envelope and accepting commands to regulate the operable elements (windows and shadings). The first prototype the Smart-IoT façade sensing system has been realized and tested in a building of the Università Politecnica delle Marche (Italy). The monitoring system was installed on a real façade and, given the wireless connection capabilities, connected to an IoT cloud platform to collect and to visualize measured data (outdoor solar radiation and illuminance). The RenoZEB team is now working on the construction of the first full-scale prototype: a façade unit with embedded sensors and actuators to be installed in the laboratory building Kubik, in Bilbao. The next step is to complete development of the advanced shadings controller as part of the Smart-IoT façade. Launch of the first version of "Open BIM RenoZEB – Focchi Facades"
The "Open BIM RenoZEB - Focchi Facades" is a free computer tool for the drawing and subsequent cutting of the facades for the rehabilitation of the company Focchi in Italy. The program is integrated in the Open BIM workflow, which allows you to export the constructive solutions defined to the BIM model of a project hosted on the BIMserver.center platform and to be part of the collaborative, multidisciplinary and multi-user workflow provided by the technology Open BIM. The objective of the program is to obtain a list with the account and the size of each panel that, which allows the company Focchi to manufacture the necessary panels. 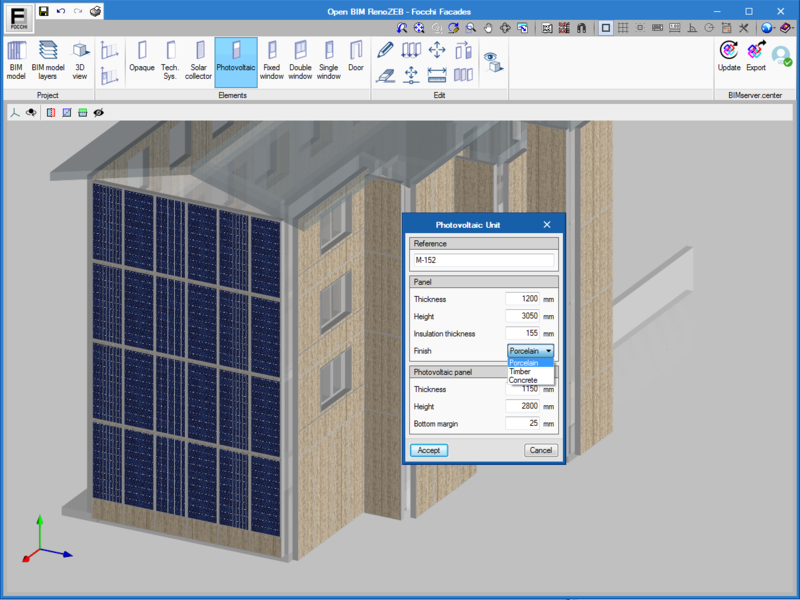 These panels are also drawn in 3D and are part of the BIM model of the project. The software is designed to introduce in a 3D view the panels of the company Focchi on the imported facades of the architectural model of the building. To start working with the program it is necessary for the user to connect the new or already existing BIM project on the BIMserver.center platform as a model with the geometry of the building (generated by CAD / BIM programs such as IFC Builder, Allplan, Archicad or Revit). One of the objectives of the RenoZEB project is to incentivize the deep renovation of existing buildings by smoothing the renovation process and improving both, the energy performance and the overall quality (including health, comfort and Indoor Environment Quality [IEQ]) of the dwellings. Therefore, two main areas are investigated: Building Overall Performance and Renovation Operation Quality. For a given building, overall performance covers not only energy performance, which remains one of the main goals of renovation works, but also environmental performance, thermal, acoustic and visual comfort, indoor air quality and property value. This comprehensive approach, through the assessment of a building’s overall performance and its improvement, is fundamental to ensure the overall quality of deep renovation operations. Besides, the quality of the renovation operation can be evaluated through the energy consumption, waste generation, occupants’ disturbance and total cost due to the operation itself. This Renovation Operation Quality plays a great part in a building owner’s decision towards renovation. 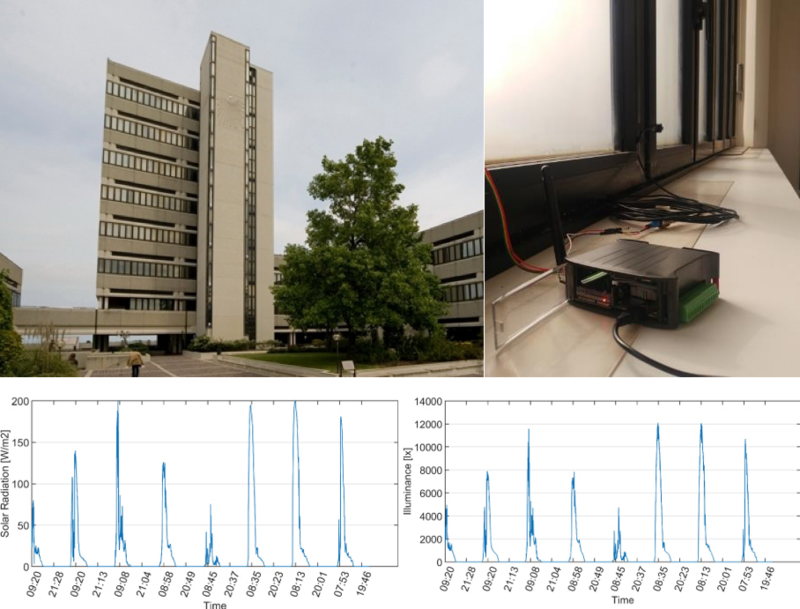 Since December 2018, demonstration buildings in Vöru (Estonia) and Durango (Spain) are monitored continuously with sensors to assess the overall performance of buildings before and after renovation (energy, basic comfort and indoor air quality), and the resulting improvement. In the coming weeks, complementary measurements (on short periods) will be performed to consolidate the assessment and additional data will be collected by experts and through questionnaires regarding thermal, acoustic and visual comfort, indoor air quality and property value. The renovation operation quality will be assessed through specific questionnaires sent to occupants, owners and construction companies involved in the renovation. On February 2019, Bruno Bueno and Fatma Özceylan from Fraunhofer ISE (a partner of the RenoZEB project) presented their paper "A workflow for retrofitting façade systems for daylight, comfortable and energy efficient buildings" during the H2020 BAMB project conference held in Brussels. The building façade not only provides the aesthetic signature of a building, but also important functions, such as daylight provision, glare protection, solar gain management and visual contact with the outside, which make the building usable and energy efficient. These functions often oppose each other, so the selection and design of façade systems and their control for a certain building application should depend on those functions that the designer wants to promote to the detriment of the other functions. The proposed workflow consists of analysing the space from the point of view of the functions of its façade. In a first step, the analysis of the case study leads to the definition of the design requirements, i.e. the relevance of the different façade functions and their priorities. The second step involves the selection of a suitable fenestration system and control strategy for the retrofit solution. In this step, an optimization process for the control strategy is proposed based on state-of-the-art thermal and daylighting simulations. In a third step, the annual performance of the retrofit solution is evaluated in order to check if the requirements are fulfilled. 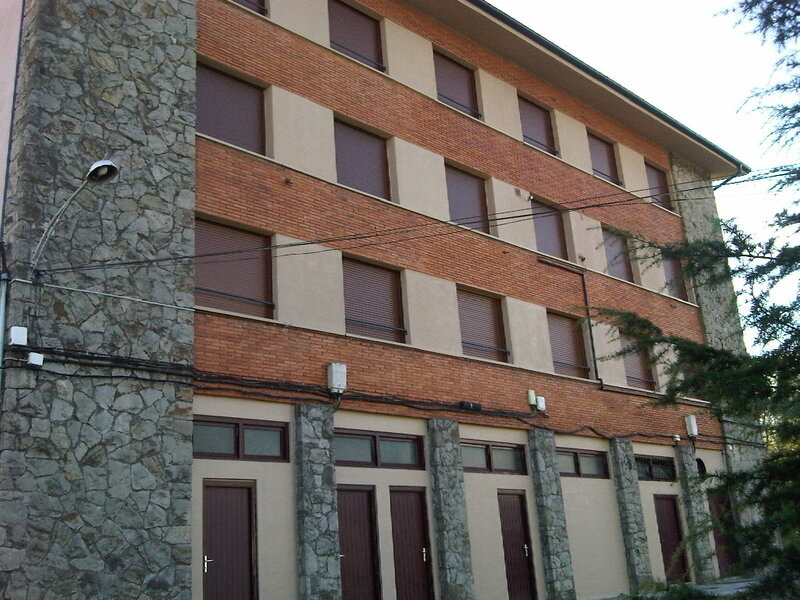 The proposed workflow is illustrated with a case study, in which the automation strategy of a retrofitted façade system is optimized for two different applications: a residential and an office building in Bilbao (Spain). Read the open-access article and the presentation. RenoZEB and P2Endure - two European projects working together! In recent weeks, a between the RenoZEB and the P2Endure European Projects has been created. The activity is carried out by the Università Politecnica delle Marche (Italy), partner in both projects. P2Endure (GA No. 723391) , a sister project of RenoZEB, focuses on the promotion and application of innovative solutions for buildings’ deep renovation. Aiming at providing solutions applicable and replicable for the widest range of building typologies, prefabricated plug-and-play (PnP) systems and the BIM technology are two key points of the projects. The P2Endure PnP solutions concern the building envelope and the technical systems, as well as on-site 3D technologies. Their application to demo cases is actually under development both in a real and virtual way. In this context, the RenoZEB prefab units (developed by Focchi S.p.A.) have been included as one of the possible PnP solutions for the deep renovation of the building envelope. 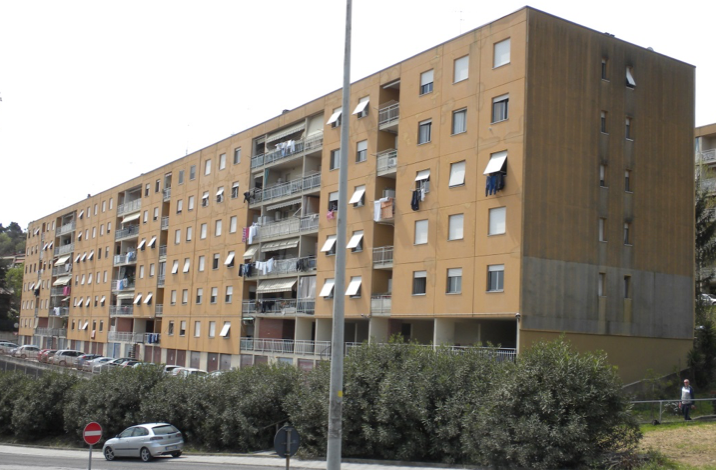 The solution has been considered suitable for the Ancona demo case (picture below), which is a large social housing block. The application of the units can provide several advantages. The features of the stratigraphy enhance the energy performance, the flexibility of the dimensions (both height and length) and simplifie the renovation design while the modularity shortens the installation process. The project of the units’ arrangement on the building façades is currently under development, as well as the BIM modelling of some of the units’ typologies. The ExcEED project -which stands for European Energy Efficient building district Database: from data to information to knowledge - is an H2020-funded project that aims at establishing a robust and durable return of knowledge mechanism collecting actual buildings’ energy performance data and providing information to designers, energy managers and policy-makers. The scope of ExcEED is to create a European database for measured and qualitative data beyond the state-of-the-art buildings and districts. Key performance indicators (KPIs) were developed to quantify and benchmark the energy efficiency and the environmental quality at building and district level. 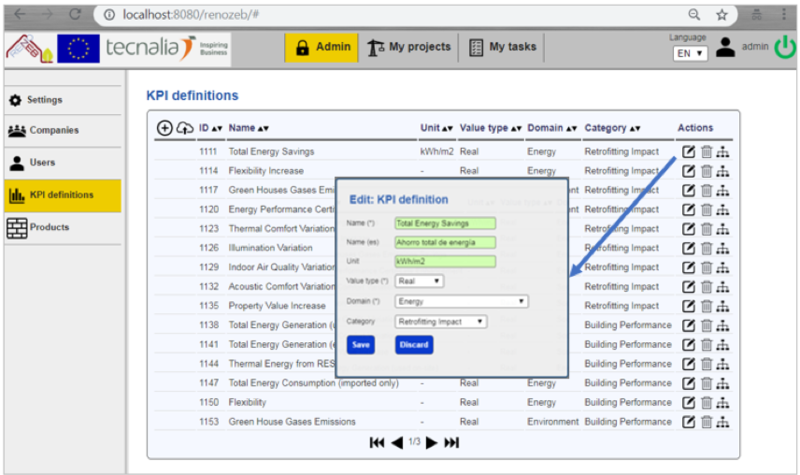 Advanced tools and KPIs are associated to the database to analyse real energy performance and environmental quality at the level of single building/district, geo-cluster of buildings, and European new or renovated building stock. innovation programme under grant agreement No. 649473. The sole responsibility of this publication lies with the author. The European Union is not responsible for any use that may be made of the information contained therein.